Today's feature is Slippers of Pearl, first in the Tales of a Cobbler Mage series by youth author Danyelle Leafty. 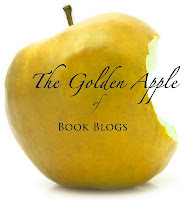 Danyelle is also the author of the soon to be five book Fairy Godmother Dilemma series. Below you will find summary, review, book trailer (by me! ), and a recipe. I hope you enjoy! 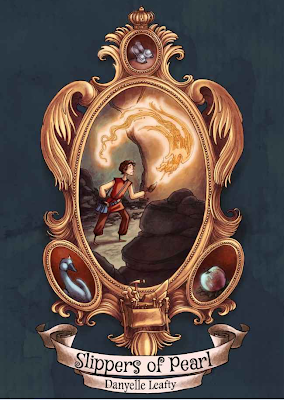 Slippers of Pearl is a spirited fantasy reminiscent of Diana Wynne Jones (especially Calcifer from Howl's moving Castle), Vivian Vande Velde (her Well Timed Enchantment is the best! ), and Alex Flinn (specifically Cloaked with its shoe making male protagonist). 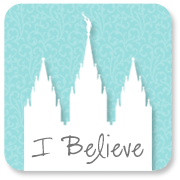 This story is steeped in fairy tales like a good, strong tea proving that Danyelle is quite the folklore connoisseur. Elements of many tales, familiar and more obscure, are brought into play and given special twists threading in and out, in and out with the main storyline. Told in third person limited perspective from a male protagonists view, Slippers of Pearl is great for the target middle-grade audience as well as fairy tale and fantasy lovers no matter how old. Aside from a few typos and inconsistencies, this is a highly enjoyable, imaginative read. The metaphors are clever, the setting is well laid, and the characters are such that you just want to give them a big squeeze. Except for the Queen of Shadows. And that minstrel guy. And maybe the king. I'm very much looking forward to the next Cobbler Mage adventure, especially to see if I can spot more fairy tale allusions! 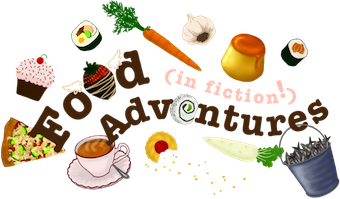 Tea is mentioned, as well as some pretty nasty apples that play a main role in the story (nasty as in potency, not necessarily appearance), but there is one specific food that starts the whole adventure off. Apple turnover. "After he cleared away the paper and string, he found before him an apple turnover. 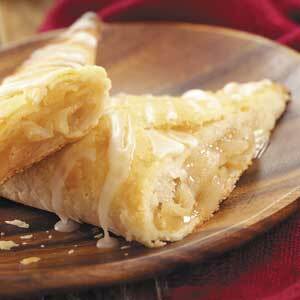 It was said to be the epitome of perfection in turnovers, all crisp and golden. With the spicy scent of apples in the air, Harvey took a bite of what was to be his final doom." And so, here is a scrumptious apple turnover recipe. Only, DO NOT use enchanted apples. Nothing good ever comes of that. In a small bowl, combine flour and salt; cut in 1/4 cup butter until crumbly. Gradually add water, tossing with a fork until a ball forms. On a lightly floured surface, roll dough into a 12-in. x 6-in. rectangle. Cut remaining butter into thin slices. Starting at a short side of dough, arrange half of the butter slices over two-thirds of rectangle to within 1/2 in. of edges. Fold unbuttered third of dough over middle third. Fold remaining third over the middle, forming a 6-in. x 4-in. rectangle. Roll dough into a 12-in. x 6-in. rectangle. Repeat steps of butter layering and dough folding, ending with a 6-in. x 4-in. rectangle. Wrap in plastic wrap; refrigerate for 15 minutes. Fold in half lengthwise and then widthwise. Wrap in plastic wrap; refrigerate for 1 hour. Meanwhile, in a small saucepan, combine the sugar, cornstarch and cinnamon. Add apples and lemon juice; toss to coat. Reduce heat; simmer, uncovered, for 5-10 minutes or until apples are tender, stirring often. Roll dough into a 12-in. square; cut into four squares. Brush with half of the egg mixture. Spoon about 1/4 cup filling on half of each square; fold dough over filling. Press edges with a fork to seal. Place on an un-greased baking sheet. Brush with remaining egg mixture. With a sharp knife, cut three small slits in the top of each turnover. Bake at 450° for 17-22 minutes or until golden brown. Remove to a wire rack. Combine glaze ingredients; drizzle over turnovers. This book sounds really good! So does the recipe! =) Hmm... now the question is, am I dieting today?